Lubrita international introduced four types Lubrita Hand Cleaning products! Premium quality hand cleaning paste based Orange Terpenes, Aloe Vera extracts, Jojoba Esters and effective abrasives. Hand Cleaner Lubrita Yellow is specially developed for removing extremely stubborn industrial soiling. It’s unique product formulation easily removes oils such as lubricants, grease, paint, varnish, ink, tar, bitumen and adhesives. Hand Cleaner Yellow cleans, moisturises, protects and is dermatologically tested, pH neutral and biodegradable. Powerfull and effective hand cleaner formulated with skin-friendly abrasives and natural ingredients. Excellent skin reconditioning performance. Fresh citrus scent from natural ingredients. Made with Aloë Vera Extracts and Jojoba Oil. Effective solvent-free hand cleaning paste. Made with Aloe Vera extracts, Jojoba Esters and anenvironmentally friendly abrasive. Hand Cleaner Lubrita Special cleans, protects and moisturizes, is dermatologically tested, pH neutral and biodegradable. Powerful hand cleaning gel for removing industrial soiling. Solvent-free formula. Rapidly emulsifies with all types of soiling to ensure effective cleaning. Cleans and moisturises the hands and prevents skin irritation. Formulated with pleasant fresh fragrance. Made with Aloë Vera Extracts and Jojoba Oil. Lubrita Hand Cleaner Special is very suitable for removing heavy industrial soiling such as lubricants, grease, tar, adhesives and bitumen. Solvent-free citrus hand cleaner for removing industrial soiling. Fast-acting citrus hand cleaner. Rapidly emulsifies with all types of soiling to ensure effective cleaning. Cleans and moisturizes the hands and prevents skin irritation. Keeps hands smooth and supple. Formulated with pleasant fresh citrus fragrance. Lubrita professional hand cleaner for removing traditional workshop pollution such as grease and lubricants. Extremely suitable as universal hand cleaner for automotive, production industry, construction and marine industry. Cleans and moisturizes the hands and prevents skin irritation. Formulated with Aloë Vera Extracts and Jojoba Oil for optimum skin reconditioning. Removing industrial soiling such as lubricants, grease and tar. Professional workshop hand cleaning gel for removing industrial soiling. Hand cleaning paste based on skin-friendly components, effective cleaning agents and an abrasive. Hand Cleaner Lubrita Red is extremely suitable for removing stubborn soiling such as lubricants, grease, tar and bitumen. Hand Cleaner Red cleans, moisturises, protects and is dermatologically tested, pH neutral and biodegradable. Specifically suitable for removing lubricants, tar and grease. Formulated with a pleasant fresh fragrance. Removing stubborn industrial soiling. 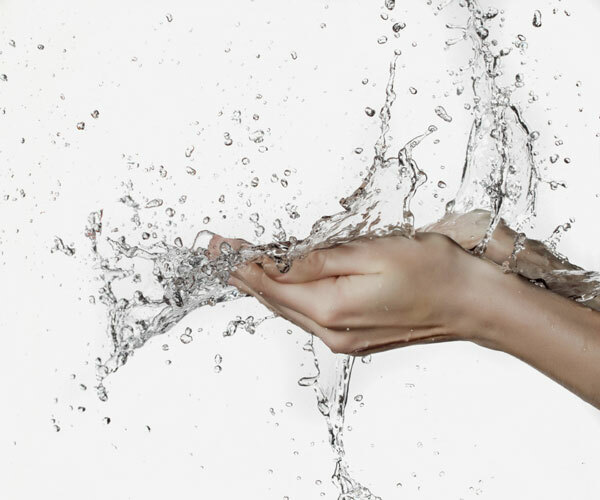 Lubrita hand care products: protect, clean and care. In today’s world hands are exposed daily to a range of industrial pollutants. This takes its toll on the skin. Optimal protection, cleaning and care of your skin is critical for keeping your hands in good condition. Lubrita makes the right products for every use. With easy-to-read colour coding on the packaging, you can see in one glance which products in the Lubrita hand care programme protect, clean, disinfect or care for your hands. Materials that are harsh on the skin can lead to long-term skin damage. Lubrita Hand Protect Lotion protects your hands against damaging materials that come in contact with skin. Even if you wear protective gloves, your hands can sustain damage. Skin transpires, swells and weakens inside gloves, which can leave your hands susceptible to the harsh effects of operating mechanical equipment. Hand Protect Lotion protects your skin and makes cleaning your skin easier. It’s simple to use: apply to clean, dry skin prior to doing work and after washing hands. The right hand cleaner is determined by which type of contaminant is present. Consult the product recommendation guide to select the right product for your needs. Lubrita hand cleaners are carefully composed and focused on effective cleaning and optimal hand care. Rub a small amount of hand cleaner into dry hands until dirt loosens. A small amount of water can be added if desired. Rinse with water or a clean towel and dry hands well.